Twenty days in London, nine meetings and a thousand things to learn! Ten Italian students attending the Sannazaro Grammar School in Naples enjoyed a fantastic learning experience thanks to the PON project C5 created by the European Union. The goal was to study journalism and work as reporters in the Capital. The aim was also to improve their English skills and understand better how the media works in the UK. I had the wonderful opportunity to be their tutor and to guide them through this adventure, with great support from their teachers Maria Sirago and Daniela Grattagliano. My programme started with the 5Ws and basics of newsmaking, ethics of reporting and news accuracy, case studies about investigative journalism. I used technological tools, also: videos, iPhones apps, social media platforms (use of Twitter by BBC, and the hashtag #C5Naples). Students created their LinkedIN profiles and started building their professional network. Learning by doing: the interactive programme included the BBC tour, interviews with journalists such as Paola Totaro (Foreign Press Association), Phil Sutcliffe (National Union of Journalists), Marco Varvello (RAI UK), Ferdinando Giugliano (Financial Times). The students had the privilege of visiting Bafta Headquarters thanks to the kindness of Italian/British member, Clara Cleo Green, who told them stories about Italian cinema in London. 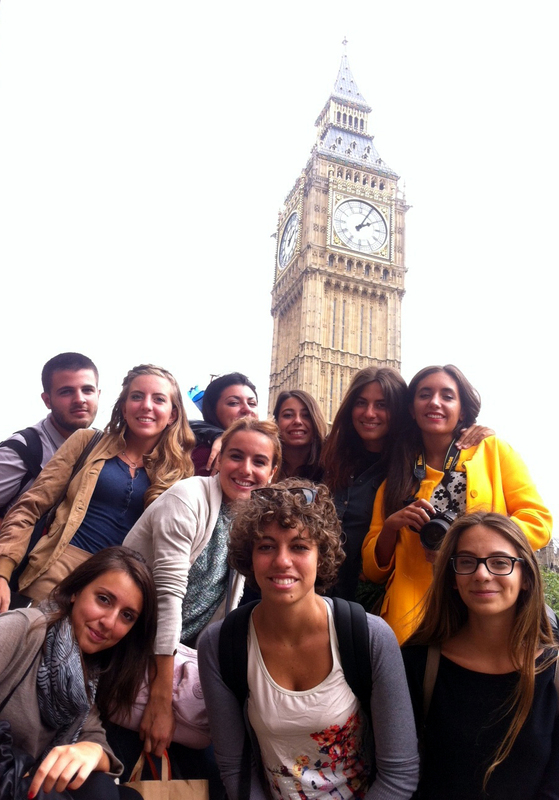 The students also learnt about the development of Italian Culture in London. They met the director of the Italian Cultural Institute Caterina Cardona and visited the inner library run by Mariella Riccobono. They also visited the Italian Bookshop managed by Ornella Tarantola. There was also room for some British culture. This included a visit to the British Film Institute and the Ruben Library, the Barbican, the Royal Festival Hall and the Westminster Reference Library (the session with the Italian born Rossella Black was brilliant!). The PON C5 scheme really helped the students become aware of new kinds of working situations such as the Impact Hub Westminster. As an exercise to work on the basics of journalism the students worked in pairs. They wrote articles following this layout: a general article about the meeting, an interview with the protagonist, a spotlight piece about something interesting and a press release (not published). This worked very well, particularly on one of their first experiences: the one at Borough Market. Afterwards some of the students decided to write articles on their own about other visits (a good example is the piece on the Science Museum). The linguistic review was performed by Matthew Evans (CertTESOL Trinity College London). The PON C5 (FSE02 POR Campania 2013 – 102 1092495) was organized by Sagitter Training and a separate programme was run by Riccardo Cacelli (ItalyNews). Some articles have been translated into Italian and published in the blog of the school “Liber@rete“, edited by Maria Sirago and awarded by the President of the Italian Republic.